The Furuno DRS4W is the first radar antenna in the world that allows you to wirelessly access radar images on your iOS devices, combining ease of use with great flexibility. After installing and setting up the app (free from the Apple App Store), you can watch radar images directly on your iPad or iPhone. You are free to move around on your boat whilst still having complete information on your surroundings. The DRS4W was the Winner of the 2014 Hutchwilco NZ Boatshow "Most Innovative International Product" Award. Move around and explore - with the 1st Watch Wireless Radar, you can now do things that was previously impossible. Bring the Radar display wherever you go - even put it in your pocket on your iPhone. Get it at the first glance - plug in the Radar, setup the app from the App Store and you're good to go. With familiar gestures, it is a breeze to use. You can even use two iOS devices simultaneously. Less cables, more flexibility - installation is simple with its compact and lightweight Radar antenna. Mount it, plug in the power and you're good to go. 4kW radar antenna, powerful yet compact in size. 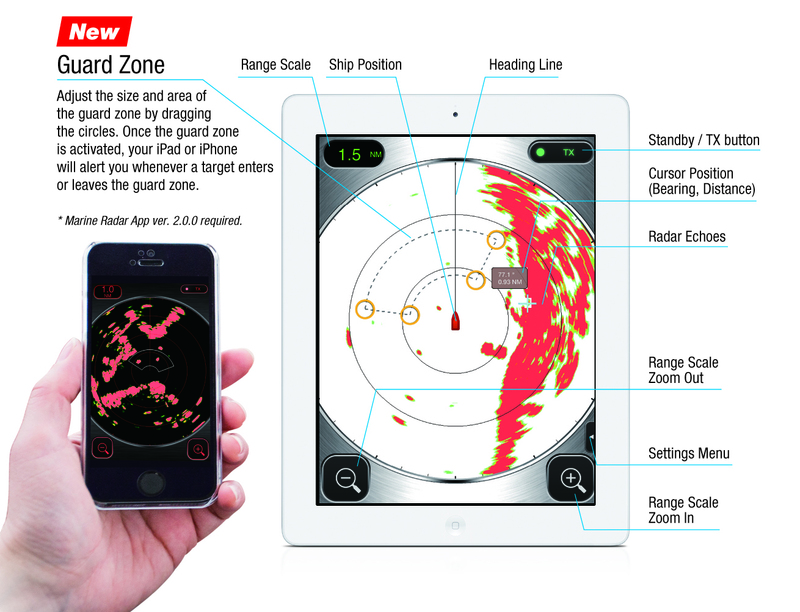 World's first radar that allows you to wirelessly access radar images on your iOS devices. With image quality that matches that of a conventional 10" wired radar, the DRS4W will impress. Download the Marine Radar app from the App Store which is available for free. Simple touch interface with familiar gestures.